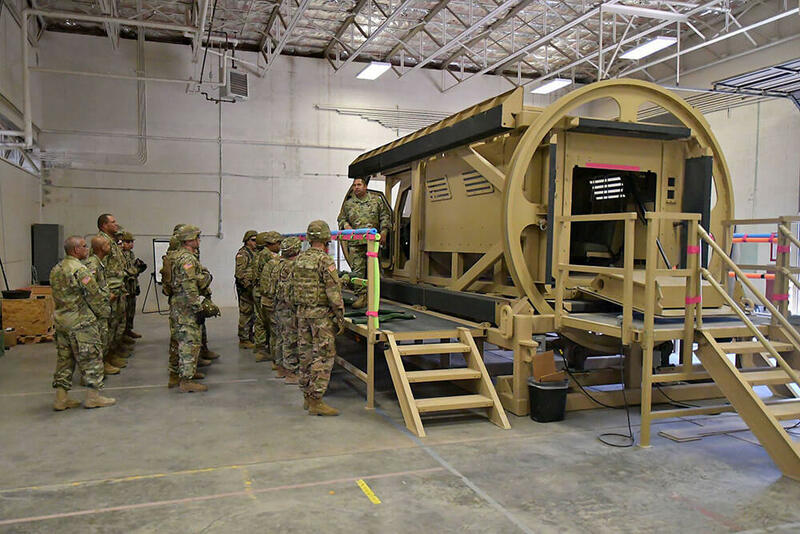 Four hundred Soldiers of 1st Battalion, 158th Infantry Regiment “Bushmasters,” Arizona Army National Guard, spent 45 days this past summer at Fort Bliss, Texas, conducting premobilization training and validation in advance of a one-year deployment to Kuwait. 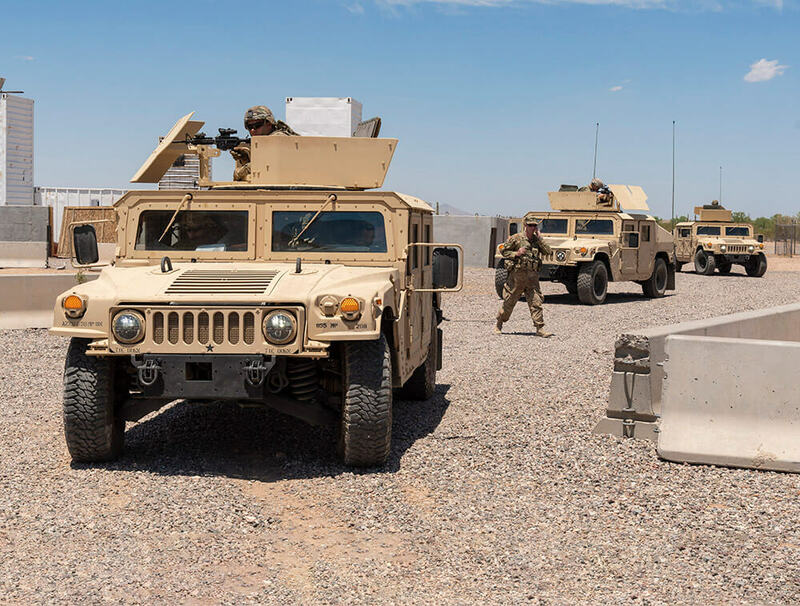 While the Soldiers of the 1-158th did not have the exact details of the mission ahead, they knew it would involve providing security to naval bases and convoys in the regions in and around Kuwait. 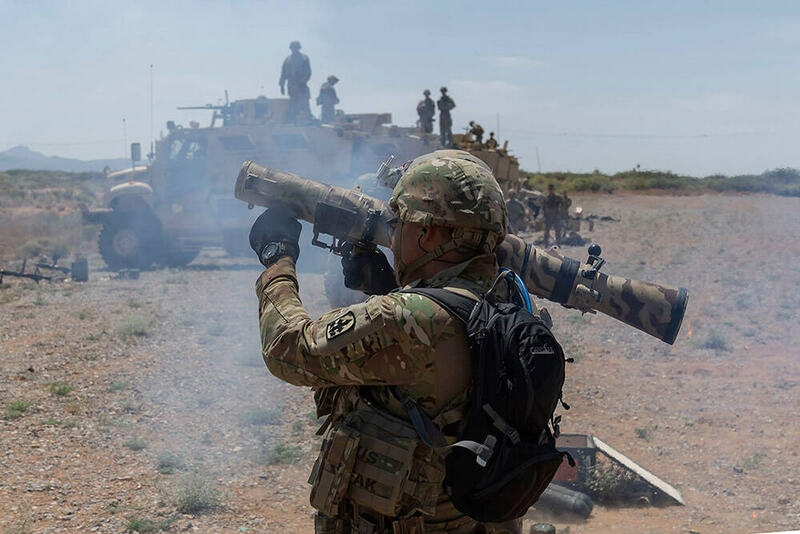 Training validations for the light infantry unit encompassed roll-over training for the M-ATVs and shooting range qualifications, including small arms ranges and crew-served weapons ranges. 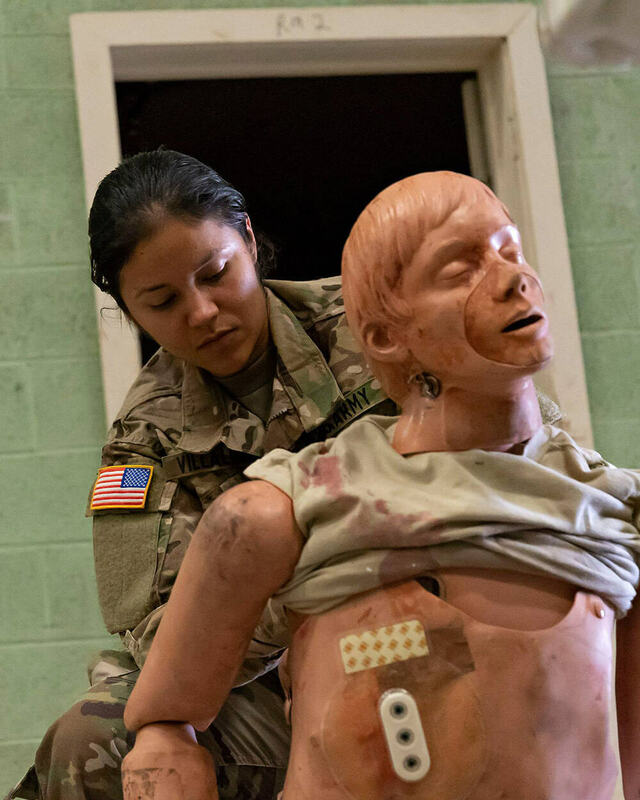 The unit was also tested on medical validation, both personnel physical exams along with a Combat Life Saver Course. Training validations also included Sexual Harassment/Assault Response and Prevention validation, extensive communications training, driver training, classes on Blue Force Tracker and Company Intelligence Support Team training. Also included was a 10-day course on Base Expeditionary Targeting and Surveillance Systems – Combined (BETSS-C). The BETSS-C is a networked sensor package focusing on surveillance, detection, security monitoring and targeting. Planning well ahead of the deployment, Arizona National Guard leaders worked to ensure the 1-158th had plenty of advance training and opportunities to begin their validation as a unit before arriving at Fort Bliss. 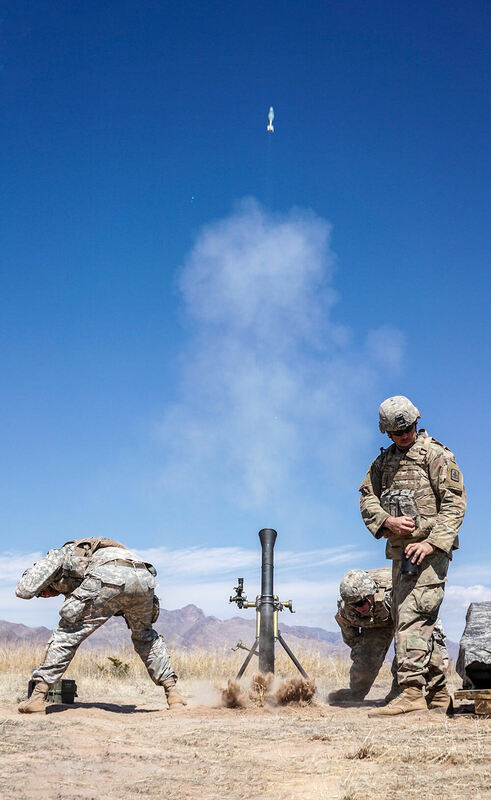 MAJ Gaume attributed the unit’s efficiency in validation to Arizona’s designated State mobilization team, which focuses on preparing Arizona Guard units for validation in advance of arrival to the premobilization site. The Soldiers had three opportunities across the previous year to begin validation before premobilization. The battalion had three weeks of annual training in March of this year. There, the Soldiers completed extensive weapons qualifications, including personal weapons and validation on the M249 and M240 Bravo. In May, they conducted an enhanced nine-day drill and in June they completed the State mobilization training. These separate, staggered opportunities allowed the unit multiple passes to get every Soldier 100 percent qualified. 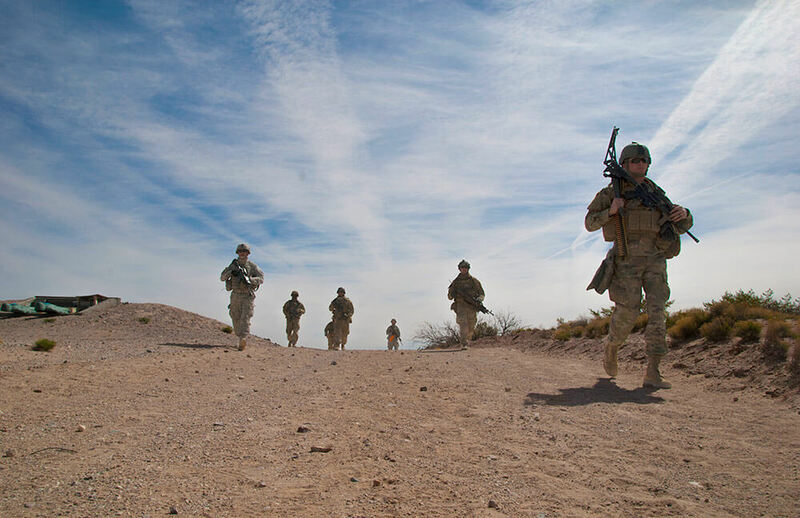 That, in turn, gave the unit extra time to conduct a high-intensity air assault exercise while at Fort Bliss. 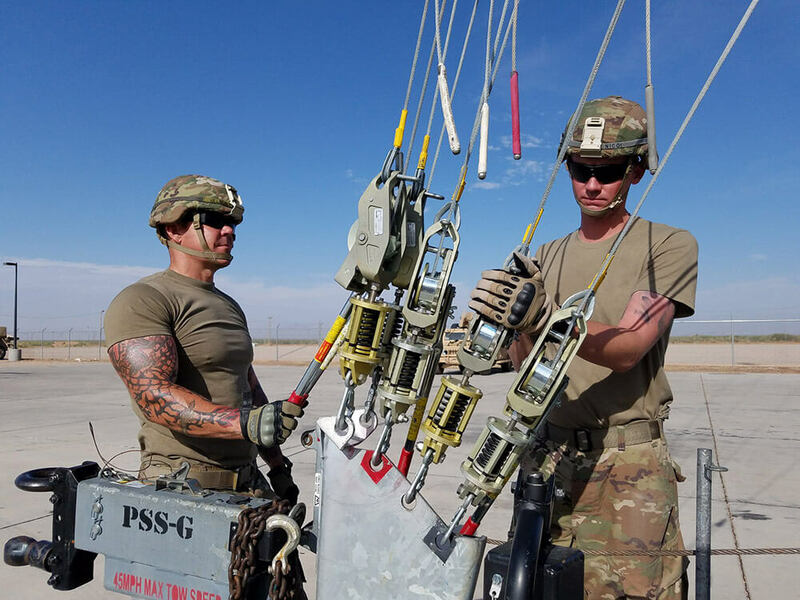 With the help of the 501st Assault Helicopter Battalion, 250 of the 1-158th’s Soldiers trained with a total of six aircraft – four UH60 Black Hawks that moved personnel and two AH64 Apaches that provided overwatch. 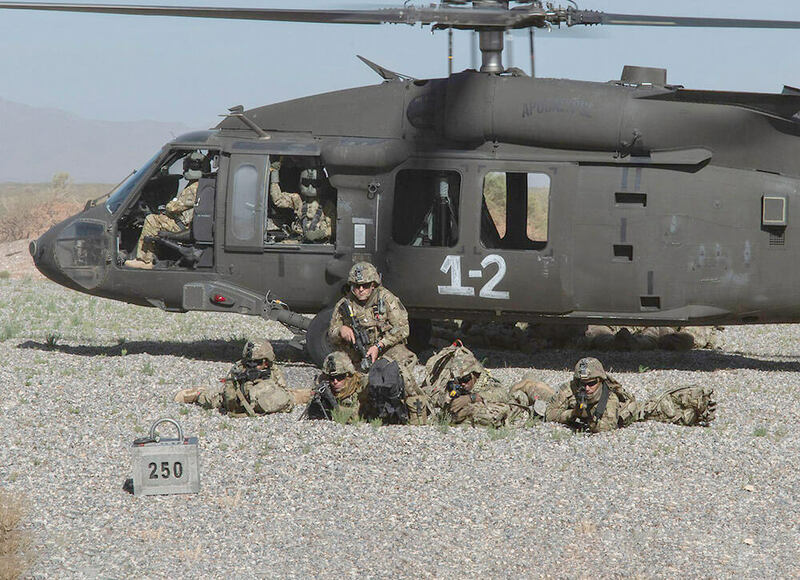 Back in January of this year, the 1-158th conducted an air assault training mission with Arizona’s State aviation unit. It was very similar to their Fort Bliss exercise, MAJ Gaume said. Four UH60s were moving in personnel and two Black Hawks were on station awaiting call-for-fire. The unit also participated in air assault training during last year’s Exercise Northern Strike. “We’re no strangers to air assault missions, no strangers to getting in and working with our aviation brethren,” MAJ Gaume noted. 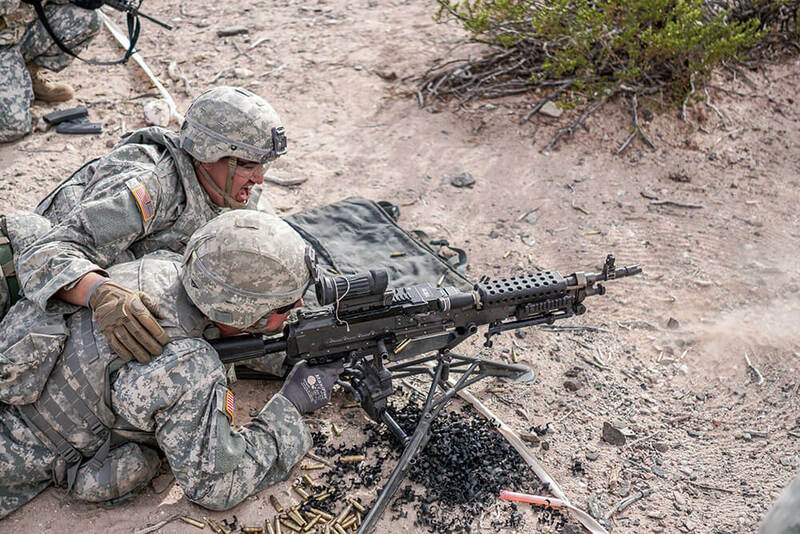 The Arizona Soldiers put the additional training time at Fort Bliss to good use. According to CSM Figueroa, this was a first deployment for about 70 percent of the unit, and its leadership wanted to ensure each member was completely mentally and physically prepared for their deployment. “First and foremost, this mission will be accomplished no matter what or how long it takes,” added CSM Figueroa. During the unit’s last deployment to Afghanistan in 2007–2008, two Soldiers made the ultimate sacrifice. Killed in action were SSG Charles Browning and PFC Mykel Miller. “At the time, I was assigned to Bravo Company and 1st Platoon lost SSG Browning and my Platoon – 3rd Platoon – lost PFC Mykel Miller,” recalled SGT Alejandro Morga, commander of 1st Squadron, 3rd Platoon, Charlie Company, 1st Battalion, 158th Infantry Regiment. He said he has grown as a man and a leader since joining the unit. For SGT Morga, the big picture is not only the larger strategy and logistics of operations. He is focused on his Soldiers and making sure they are taken care of and squared away. He wants them to accomplish the mission and wants to ensure that they can come home to talk about it. “I’ve got to focus on ensuring my Soldiers are ready for whatever mission the battalion is handed, whatever mission Charlie Company gets chosen to do. Whether it’s staying in Kuwait or pushing forward into another country, I need to ensure the troops are ready with their military abilities and their mental, physical and emotional well-being,” he explained.